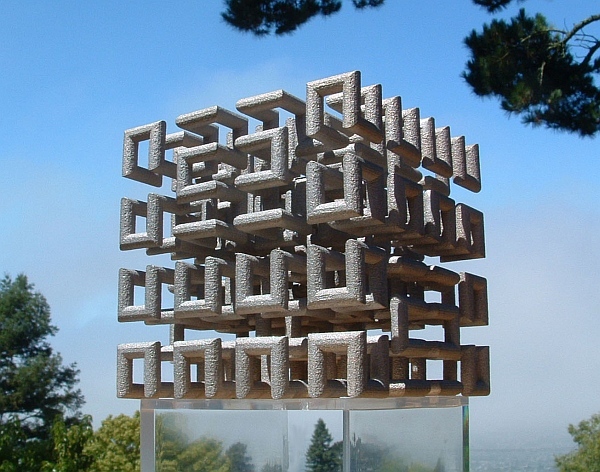 The 3D Hilbert curve is an infinitely long path which wiggles around through all regions of a cube, making right angles in a systematic manner. Physical models can be made with additive fabrication technology. The elegant metal version above was designed by Carlo Séquin. If you have access to a fabrication machine, you can try making your own version using the .stl files that Carlo has provided here. 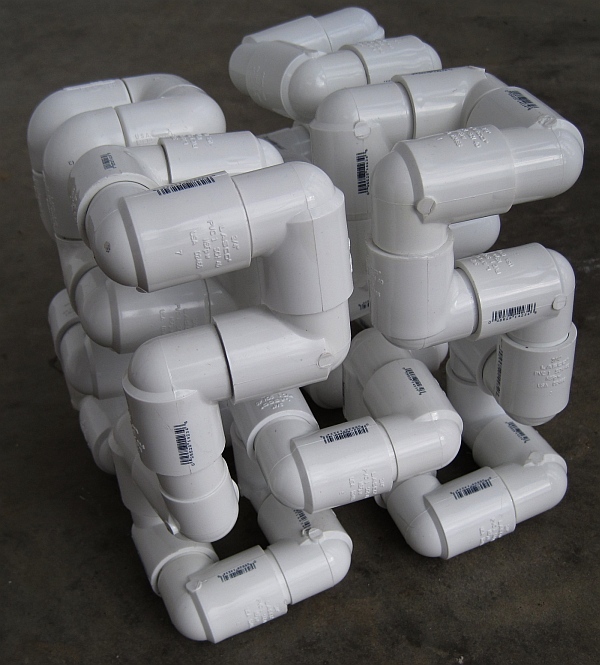 Chaim Goodman-Strauss had the idea of making a large version from plumbing supplies. The above construction uses sixty-four PVC elbows. This article first appeared on Make: Online, March 22, 2010.